Don't let stress control your life! Use the information to learn about techniques to help avoid stress. Stress is a natural part of our everyday life. But being stressed out is not usually beneficial for any of us. It can be hard to eliminate this stress and get our minds and bodies back to a healthy state. Fortunately, medical science is helping us understand more and more what causes stress, and how to relieve stress. 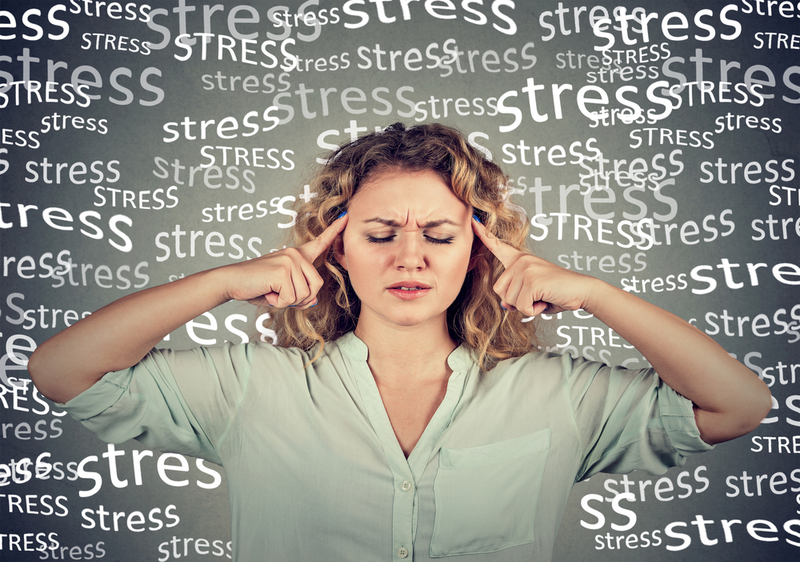 Here on this you will find tips and tricks on avoiding and treating stress. Step One: Get more sleep. Most people today survive on not even 6 hours of sleep every night. We have all heard the experts say that we need at least eight hours, but we tend to ignore it. But there is a reason for this advice. Getting enough sleep doesn’t just rest the body, it also rests the mind too. Do you kids tell you that you get cranky when you are tired? Your bedroom should be a work and TV free zone, a place to relax and unwind with a steaming hot tea, a nice hot bath, or reading your favorite book. Step Two: Faith is good. Praying may not be your thing, but medical studies show that there is a direct correlation between praying in times of stress and relieved stress levels and even lower blood pressure. Forgiving others has also been shown to lower blood pressure, so let go of that grudge- it is literally not good for you! Step Three: Take a technology break. Cell phones and computers may help make life easier, but they also cause stress when you never get a break from them. Set aside some time each day as “me time” where your phone is off and everyone knows not to contact you, even if you can only spare one hour a day. And avoid the TV; you need to escape from technology for a while. Step Four: Vacation time! You don’t have to go to the Bahamas or a Disney cruise; just take a day off once in a while to relax and get away from the rat race and whatever other issues you have going on in your life. Go to the beach or to the movies with a friend, have a day at the park with the kids and the dog, go dancing or ice skating- whatever is you think is fun.You deserve to relax once in a while; in fact, you need it. How to relieve stress: Take a break! Step Five: Pamper yourself. Yoga classes are a fantastic way to unwind and de-stress. There are usually classes available at a local community center or gym, and generally they are priced fairly low. You could also consider a monthly spa treatment or massage to help you relax and give your mind and body a treat. You will feel so good you won’t know what hit you! Step Six: When things are going wrong and you have a lot to handle at once, you start to feel like you are inside of a hurricane; it is hard to see clearly, and everything seems to be part of the problem. It can be really hard to take a step back and look at things more objectively- but that is exactly what you need to do. Take a moment to calm your thoughts and regroup. If you can, take a day or weekend off to get away for a little while and think things through better. Go somewhere peaceful, outside of your usual surroundings. Being away from the source of the problem will help you to think more rationally, and finding solutions will be much easier. Bring a journal with you so that you can write down what you are feeling, or ideas that come to mind. Take a break from the heat of the battle, and return refreshed and ready to tackle it again. Step Seven: One major reason that people get stressed out is because are confronted with a major change or even many major changes. Change is a necessary part of life; we will never escape it. When change does come, and it will, focus on the positive aspects of those changes and make the decision to accept it with your whole heart. There is always opportunities to grow in these instances, so ask yourself how you can grow here. There is always something positive about change- sometimes you just have to dig to find it. And remember, the change itself is not causing the stress- it is your personal reaction to the change that causes it. How to relieve stress: guide your personal reactions to unavoidable situations. Step Eight:Have a blitz day! Our life is filled with countless small jobs that we never seem to have time for, and so they all begin to accumulate very quickly. Cleaning out that closet, weeding the garden, organizing the bills, fixing that leaky faucet, changing the winter tires back to regular; the list never seems to end. And thinking about this endless, overwhelming list of things that need doing can be very stressful. Take a “blitz” day where you get up early and for the entire day just sort and schedule every one of these little jobs. Take a few minutes here and there for a break and make sure you grab a bite for meals, and just ram through these irritating tasks until it is all done. You won’t have it hanging over your head anymore, and you will feel proud of yourself for having accomplished so much in a single day! So now that you know how to relieve stress, go take a hot bath and relax. You deserve it!